Get those little legs moving with the Kaleidoscope Safari Door Jumper from Bright Starts! 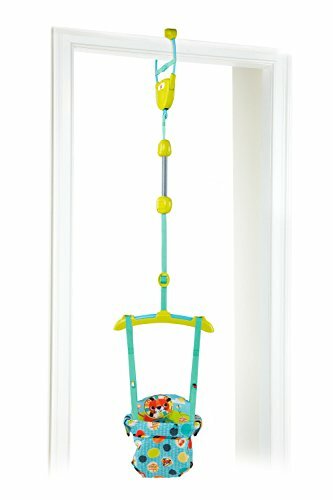 Babies love exercising those little legs by bouncing, and we've added four loops for attaching baby's favorite toys. The lightweight frame is easy to remove and take on-the-go and the straps adjust for the perfect height as baby grows. The door jumper clamp fits securely to most door ways and features a unique secondary strap for added security.